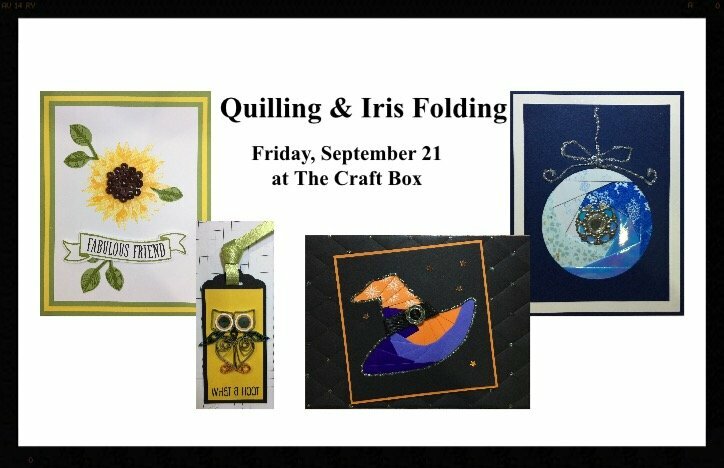 You may be asking yourself, “What the heck Is Quilling and Iris Folding, and why would I want to learn it?”. Well, because it’s really fun! Quilling is an art form that involves the use of strips of paper that are rolled, shaped, and glued together to create decorative designs. The paper is rolled, looped, curled, twisted and otherwise manipulated to create shapes which make up designs to decorate greetings cards, pictures, boxes, and to make models, jewelry, mobiles etc. Similarly, Iris folding is a paper craft technique that involves folding strips of colored paper in such a way to form a design. The center of the design forms an iris—a shape reminiscent of the iris diaphragm of a camera lens. In this class you will learn some basic steps to begin iris folding and quilling. You will leave the class with four completed projects. No experience necessary – all you need are your favorite scissors and paper adhesives, plus a desire to be creative!